That four-letter “H” word is back on my mind again lately, and it’s not the one that would have gotten me in trouble in grade school. About three and a half years ago, my company had new pictures taken of all of the brokers. Since I was just about to start chemo, the timing for a picture wasn’t the best. Should I have my picture taken with a full head of hair? If I did, then people who first saw my picture on our website wouldn’t recognize me when they met me and my shiny, pale, bald, head in person. So should I shave my head bald? That would be confusing later, after I finished chemo, and my hair grew back. So which H-word is the real me? Hairy or hairless? And why is this so important? Sorting this out was giving me a bad hair day. I decided to compromise. I gradually cut my hair shorter over a few weeks, so that everyone – including me – could get used to it. Just before I had my picture taken, and before chemo kicked in, I had my final haircut. This cut left little to the imagination. After chemo was finished and my hair grew back, Greg, one of the partners, asked me if I wanted to have my picture taken again. “No,” I said, “I like the picture. Let’s leave it as it is.” Greg kept asking over the next three years. Although my answer didn’t change, Greg was right to wonder. I worried that I’d soon be back in chemo, and once again bald. And if that happened… well, before long they may not need any picture of me on the website. See where I’m going with this? There’s more meaning to hair than hair. I had more doubts about my future than I would care to admit. It was a lot like a couple of years ago, when I thought that there was no point in buying new underwear if I didn’t think I’d be around long enough to use it. So why did I finally ask to have my picture retaken? It’s because of that H word. No, I’m not talking about H@%%. I’m also not talking hair. I’m talking hope. Running laps around your life expectancy a few times can do that for you. So can having great success on a new clinical trial. 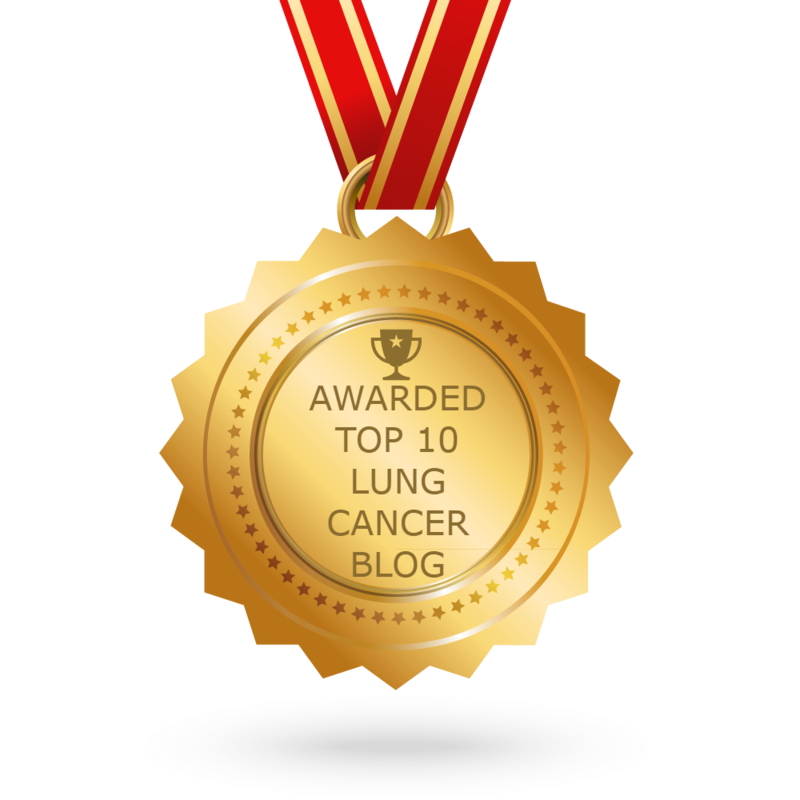 Having amazing doctors that have creative ideas about how to deal with lung cancer can give you hope too , even if no cutting-edge treatments would be a fit in the near future. My future’s so bright, I gotta wear shades. Maybe it’s so bright because of all those images of rays of light zapping the cancer cells that all of you have sent me. 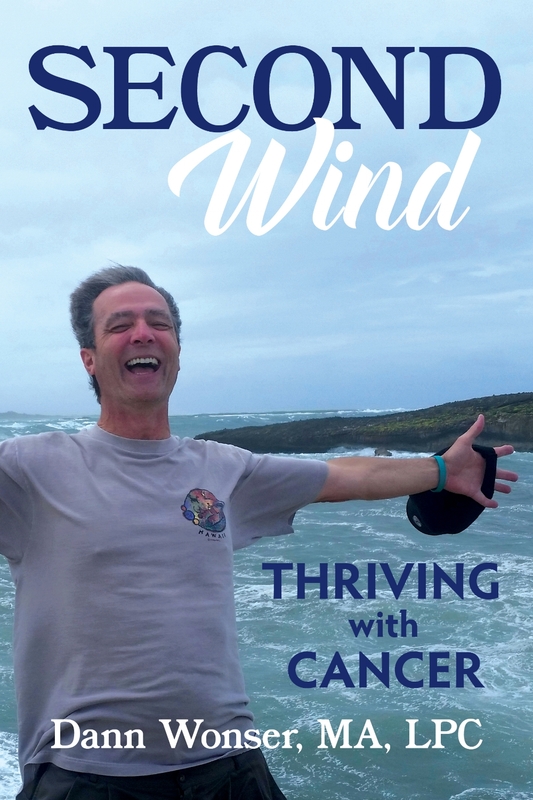 Here’s more reason for hope: I have been on three treatments that didn’t even exist for lung cancer patients the first time I went through cancer. Tarceva, Avastin, and AZD9291 are all new. How can that not make you more optimistic? You can probably even see it in my picture. You know, the new, permanent one. Maybe I can even relax a little. You know, let my hair down. Not take things so seriously. I hope there’s reason for hope in your life, too.